Ice Cream as a craft theme is always a good idea. Especially when it comes to decorating a Christmas in July tree. 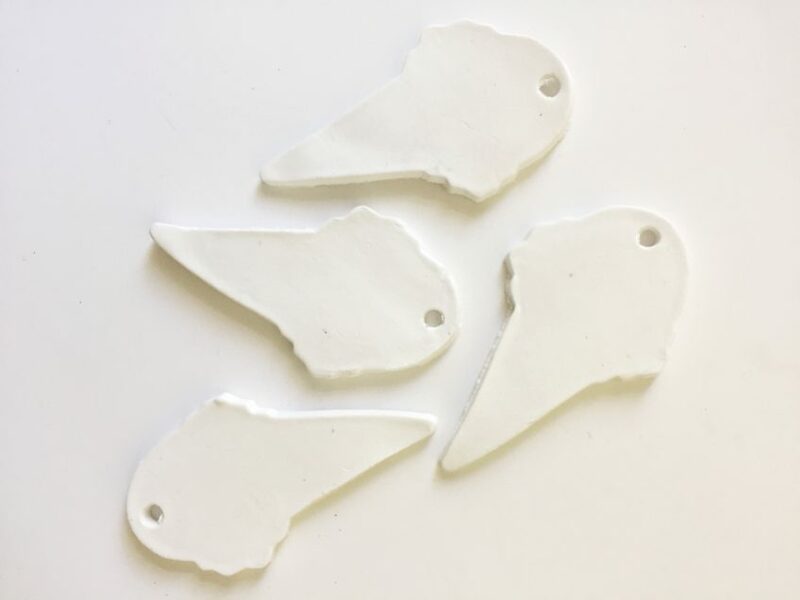 However, once you learn the wonders of air dry clay you will be busy making all kinds of fun DIY projects – even non ice cream related ones! 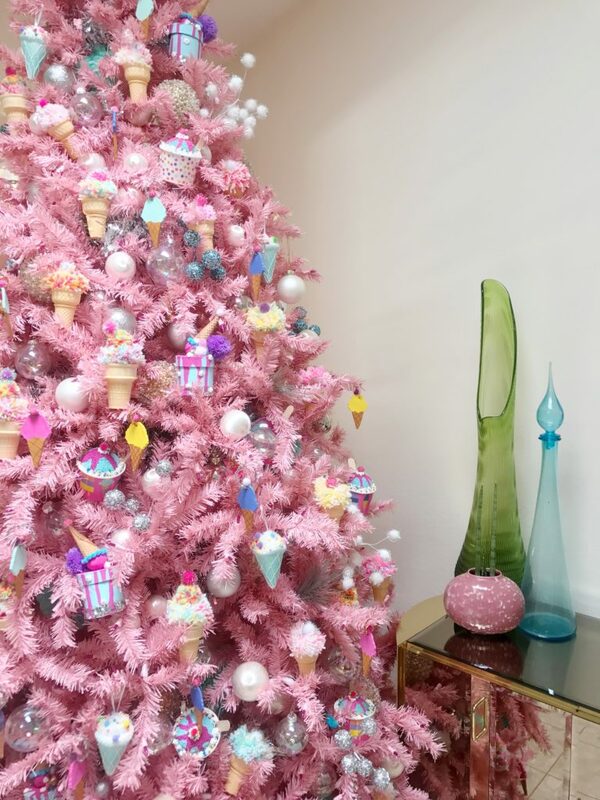 When Treetopia (yup, this is a sponsored post) asked me to decorate an entire tree with an Ice Cream Social theme I was in. 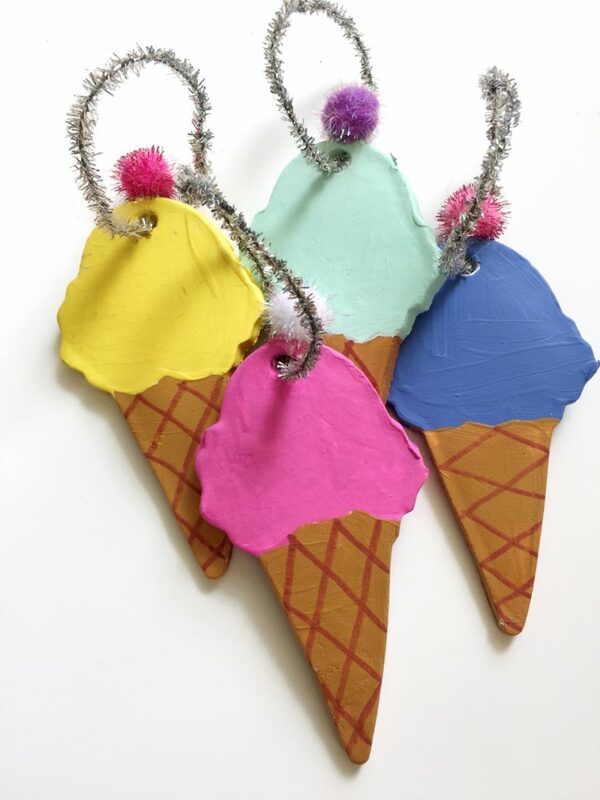 I mean like 4 different kinds of DIY ice cream themed ornaments in. 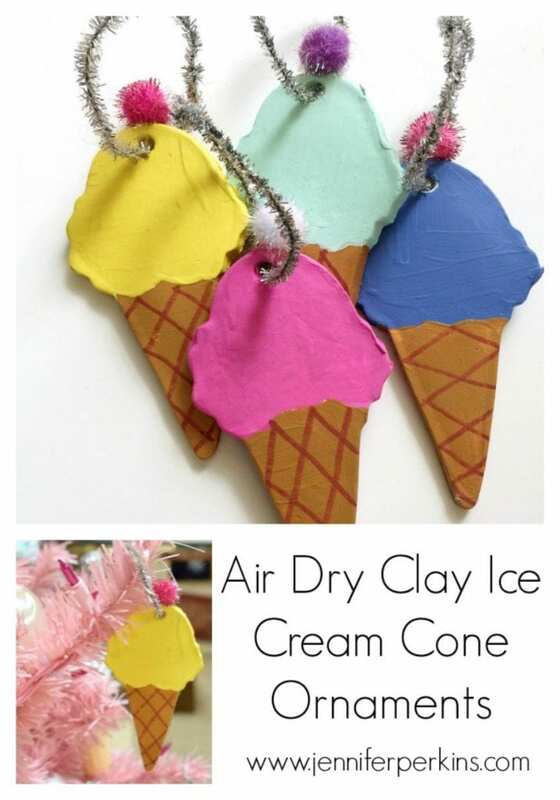 There is ice cream in a cup, pompom ice cream cones, ice cream cone drip cake and today I’m showing you these easy DIY air dry clay ice cream cone ornaments. 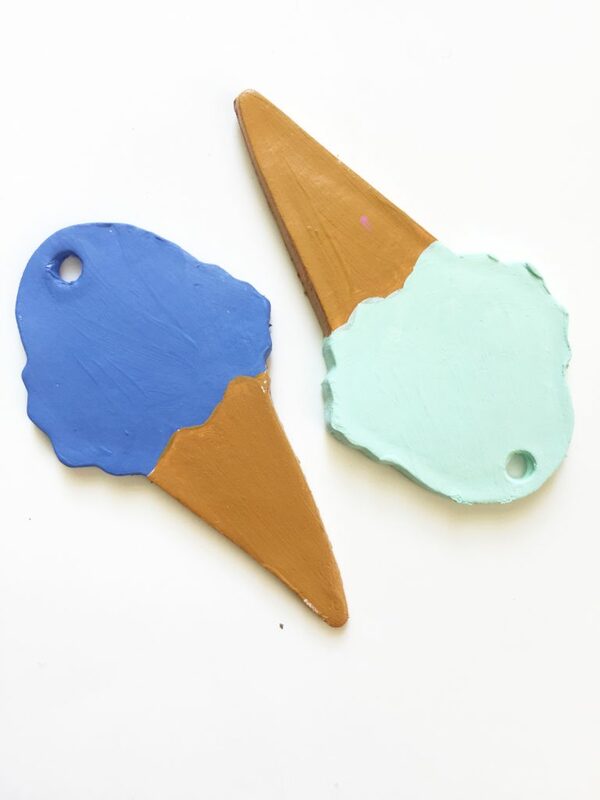 Here is the DIY video how-to of making Crafty Clay Ice Cream Cone Ornaments. 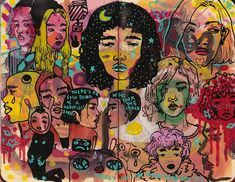 If you are more of a visual learner check this baby out. Sadly, by the time you watch this the contest I mention is over but the DIY clay ice cream cone ornament tutorial lives on! Roll out your air dry clay until it is nice and flat. You can get extra light-weight clay if you are worried about that, but if you roll your clay thin it will not matter. Use an ice cream shaped cookie cutter to make your ornaments. Be sure to poke a hole in the top with a straw before the clay dries so that it has a hole for hanging. Allow the clay to dry for 24 hours. 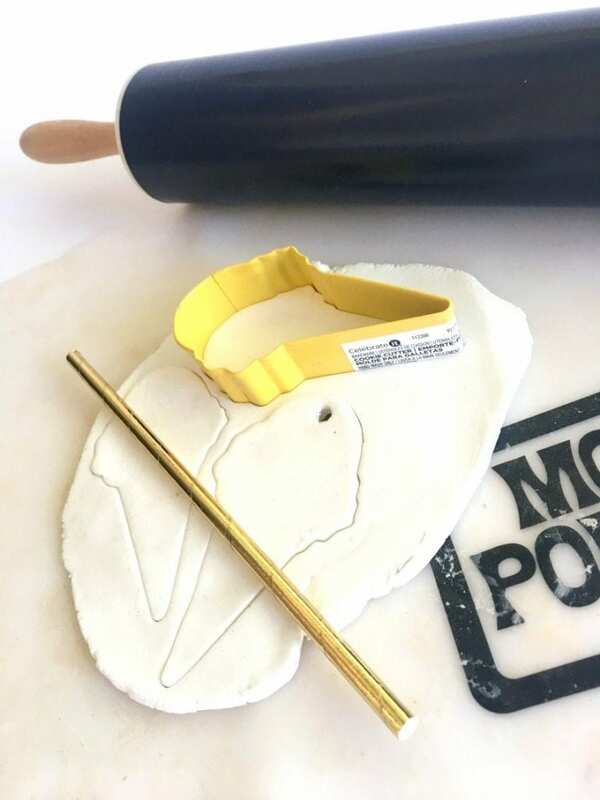 Using craft paint make a tan cone and a scoop of ice cream. Be sure to paint both front and back as well as the sides since the ornament will be hanging. Once your paint has dried it is time to embellish your ice cream! Use a brown marker (or paint) to add a criss-cross pattern to the cone. Hot glue a pompom cherry on top. Sparkly pipe cleaners make perfect hangers. 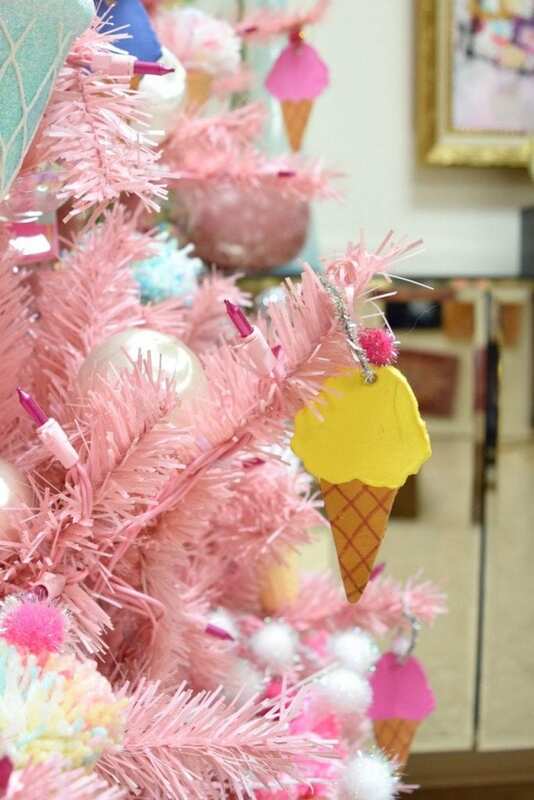 Hang your ornaments and enjoy your Christmas in July ice cream themed tree! I know I’ve been enjoying mine all summer. 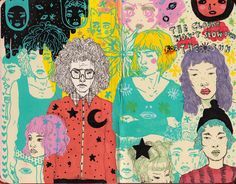 I love it so much I might actually put it back up come December! 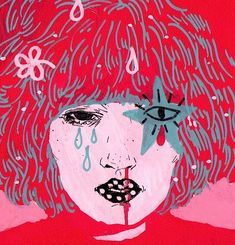 Want more ice cream themed inspiration? 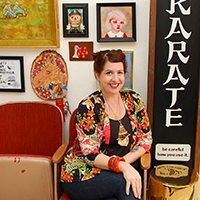 Check out the other 3 ice cream ornament videos! DIY Ice Cream Cone Cake Ornaments – Have you seen those adorable cakes that look like an ice cream cone is melting on top of them? Pompom Ice Cream Cone Ornaments – Everything is better with a pompom on it, even ice cream cones. DIY Ice Cream in a Bowl Ornaments – This one might have been my favorite of the entire series. 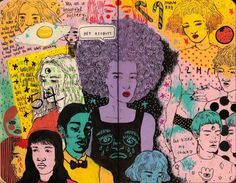 Posted July 22, 2017 & filed under Christmas, Crafts, Holidays, Home Décor Crafts, Kids Crafts, Parties.